Cellulitis of the lower legs is perhaps the most common type. In some cases, infection may start or spread to the thighs. People with poor circulation in the lower extremities are particularly predisposed. Staphylococcus bacteria are the usual culprits. Typical signs include redness and swelling. Like most bacterial infections, affected areas will become tender and feel warm to the touch. Red streaking that spreads towards the heart may occur in the absence of treatment. Localized infection is usually not the cause of threat expect for cellulitis on head. Problems arise as bacteria start spreading and releasing toxins to blood and surrounding tissues. This may be indicated by symptoms such as shock or darkening of affected areas. 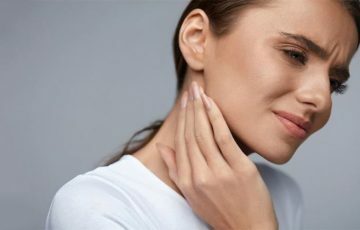 In some cases, wide spread inflammation occurs as a result of autoimmune reaction. It is referred to as cellulitis sepsis. Most patients recover completely with timely and appropriate treatment, mainly with antibiotics. Home remedies and over the counter options are available but should not replace medical treatment. It is best that a doctor oversees treatment after diagnosis. Staphylococcus bacteria only cause cellulitis once inside skin tissues beneath the epidermis. Immune cells immediately recognize pathogens and attack them. Resulting commotion and dead cells cause inflammation accompanied by reddening. Sometimes, red spots or nodules from which clear fluid or pus may ooze develop. 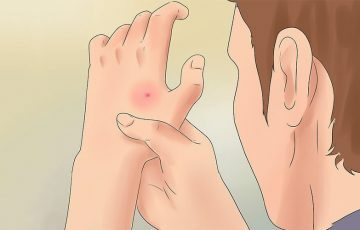 Symptoms first appear on the skin. Without treatment, systematic symptoms will likely set in. Affected areas usually redden and swell. This worsens with time. Patients may notice mild “orange peeling” or formation of red spots on the swollen areas. Due to the many activities going on inside the affected skin, it will feel hot and tender to touch. Severely infected skin tends to form dimples when poked. It is likely that patients will experience pain especially when walking or standing. Soon, bacteria will break free from a local infection into the blood. This will result in systematic symptoms such as fever, nausea, headaches, lethargy and rapid pulse rate. Blood pressure may also suddenly drop. If the injury causing infection is deep, bone infection may occur. 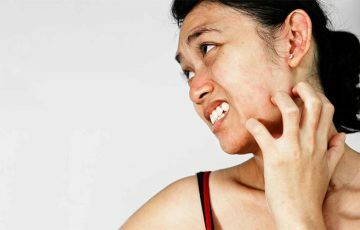 Eczema – a skin condition caused by skin dryness. It is characterized by red, inflamed and scaly skin patches. 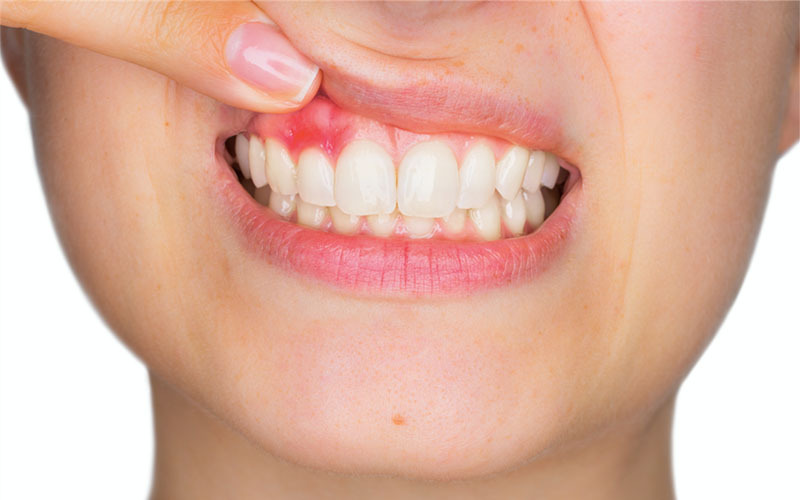 Cellulitis lip symptoms are also commonly mistaken with eczema. See facial cellulitis pictures for details. Athlete’s foot – it is a fungal infection that mostly occurs in damp feet. Affected areas appear red and may swell. Physical injuries – in most cases, physically injured areas such as sprained ankles will swell and become painful. Symptoms of injury do not spread. Circulatory disorders – gravity pulls blood and fluids such as lymph fluid to lower feet. Since blood pressure in veins is low, the fluids can accumulate in feet. Tendonitis – this condition occurs when tendons around feet become irritated. Irritation can for example be caused by repetitive movement such as in runners. Superficial phlebitis – this is caused by blood clot inside veins in lower legs. It can sometimes be painful or asymptomatic. Gout – gout causes inflammation around the joints. Diagnosis is done by physically examining the patient and analyzing their medical history. For confirmation, blood tests and fluid cultures may be ordered. Imaging tests may be taken if there are suspicions of physical injuries. Treatment for cellulitis in the leg is primarily done with antibiotics. For a mild infection, cleaning with medicated soap and application of topical antibiotics may remove the infection. Medical treatment is however recommended. Your doctor will prescribe oral medication depending on the severity of the infection. Cellulitis in kids is usually treated with IV antibiotics. Cellulitis on the ankles is a bacterial infection. It is mostly caused by staphylococcus and streptococcus bacteria. It is important to distinguish cellulitis from other types of infection and conditions in the ankles. Skin injuries such as cuts, burns and ulcerations may allow bacteria to reach the dermis and fat tissue. The moist, nutritious and warm conditions in these areas allow bacteria to grow and spread, causing infection in the process. People with chronic leg swelling and diabetes are much more likely to develop cellulitis on ankles. This is due to frequent formation of corns or calluses which may break. Infection can also spread from adjacent bones. Redness and swelling are usually the first symptoms to show up on affected ankles. Pain may develop especially when walking. Affected areas will also become hot and warm to the touch. Without treatment, patients will experience fever, chills, headaches and nausea. These are signs that infection is spreading. There also may be red streaking and orange peeling on the skin. Cellulitis ankle symptoms can easily be confused with those of gout. Gout develops when there is buildup of uric acid around joints. 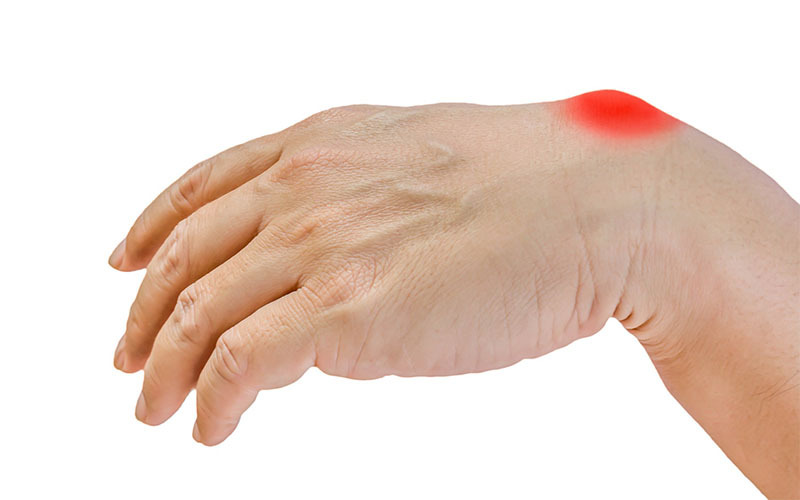 It causes pain, swelling and redness around affected joints. In most cases, cellulitis in the ankles will develop as a result of a skin injury. This is an important feature that may help confirm diagnosis. A doctor may be able to recognize cellulitis in the ankles after physical examination. Patients will be required to provide their medical history details. For confirmation, blood test, fluid culture or imaging tests may be taken. Antibiotics are the primary treatment options used for removing cellulitis. 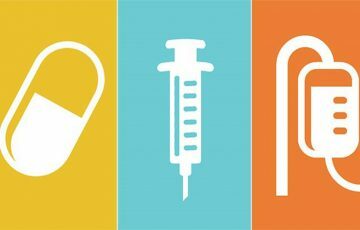 Depending on severity of the infection, a doctor will provide guides on how the antibiotics should be taken. For severe infections, pain medications, surgery and steroids may be considered. Home treatments and care measures such as resting, keeping the affected foot elevated above the heart and using warm compress may help. 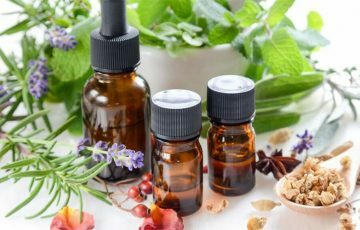 Remedies such as tea tree oil and essential oils can be used to prevent bacterial growth as well as reduce inflammation. Cellulitis on the inner thigh is more common than on the thigh. It mostly occurs due to staph or strep infection. Perineal cellulitis is closely related. Any cause of skin injury on the thighs may allow bacteria to reach soft tissues of the skin. Bacterial growth is very much favored by warm conditions. Due to the condition and location of the thighs, bacterial growth will increase rapidly. 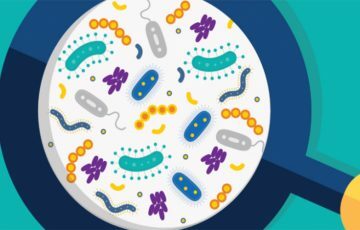 People with chronic diseases or who are taking medications which compromise the immune system are more likely to suffer severe bacterial infections. The same can be said for people with vascular disorders. Sometimes, infection can spread through blood from elsewhere in the body. This is especially due to proximity of lymph nodes to thighs. 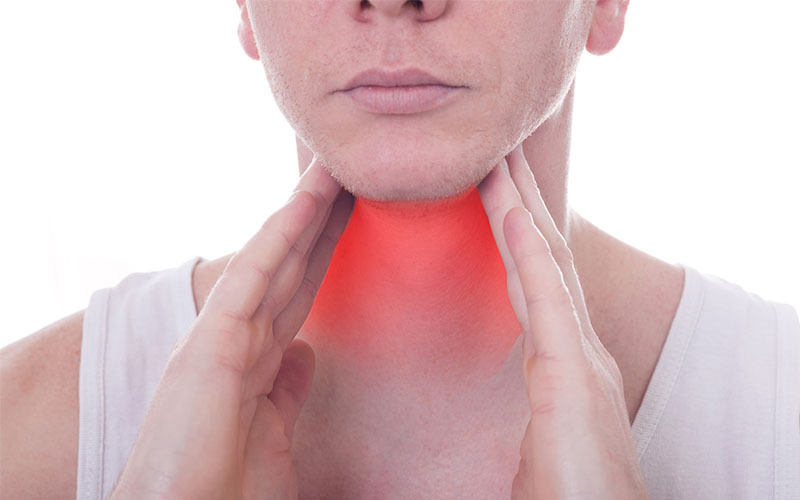 Lymph nodes work by filtering pathogens and wastes from lymph fluid. When pathogens are emptied in the lymph nodes in groin area, they can cause infection. For example, cellulitis of the scrotum can spread to lymph nodes in groin area. Systematic symptoms will show up soon without treatment. Common ones include fever, chills, headaches, nausea and confusion. Most are caused by presence of toxins in the blood. 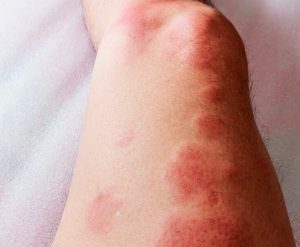 By the time cellulitis gets to this point, it becomes particularly dangerous. Blood test – a blood test is used to determine the nature and intensity of infection. It may also be used to count the number of white blood cells in the blood. Naturally, more white blood cells are produced during an infection. Fluid cultures – fluid cultures are taken by collecting some fluid from affected areas. It is then taken to the lab to determine the nature of pathogens causing infection. Imaging tests – imaging tests are essential when there are suspicions of dead tissue or when infection is thought to be caused by a foreign object. Taken pictures can also reveal abscesses or bone infections. Imaging tests are however most considered when treating cellulitis eye symptoms. Antibiotics – most infections respond effectively to antibiotics used for cellulitis. Patients will in most cases be required to take medications for about 7 days. Symptoms should however improve in the first 48 hours. It is common for redness to increase after first antibiotic doses. If there is no improvement after 2 days, check with your doctor. Some types of bacteria do not respond to commonly used antibiotics. Treatment can also be done with topical antibacterial agents. But since cellulitis develops much deeper in the skin, topical agents may not completely remove infection. Pain medications – it is likely that pain will be among cellulitis inner thigh symptoms. Pain can be reduced with prescription or over the counter pain medications. Steroids – inflammation and skin irritation on inner thigh can be very discomforting. Due to constant friction, blistering may even occur. Steroids excel in reducing swelling and redness. They may be prescribed as part of treatment. Surgery – abundance of fat tissue in thigh make it a good susceptible to “flesh eating bacteria.” These bacteria do not necessarily eat flesh, as the name suggests. What they do is release toxins that end up poisoning fat tissues and destroying them. This is sometimes seen as dark parts on the swollen portion. Dead fat tissues do not recover. They therefore require surgical removal. Surgery may also be done to drain abscesses. It is sometimes used for orbital cellulitis treatment. 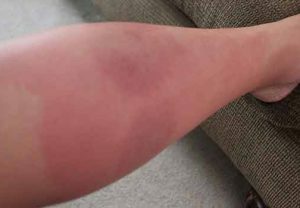 Systematic treatment – systematic treatment starts with identifying the potential cause of cellulitis in thighs and consequently getting rid of it or managing it. A good example is diabetes. Although the disease cannot be completely cured, there are medications that help manage it. Complications of cellulitis can also be avoided by systematically treating the disease. Cellulitis on the big toe is not uncommon. Most people tend to ignore infections in lower extremities or choose to treat them at home. While not very many conditions in the toes are potentially dangerous, some like cellulitis can be deadly if not treated. The big toe is very prone to various forms of injury such as blisters, cuts, wounds and cuts. Bacteria can enter the skin when such injuries are not taken care of. A cellulitis big toe infection can also occur after surgery or due to the presence of foreign objects. People who have a tendency to swell in the lower legs, such as after long flights or walks, are more prone to cellulitis on the big toe. Occasionally but rarely, infection may occur without signs of skin injury. Infection in the big toe may take some time to spread. Signs will first appear on the affected big toe. Redness and swelling are usually first to manifest. Swelling will most likely extend to the bottom side of the big toe. There will also be pain, making it hard for a patient to walk or stand firmly on affected foot. Warmth and tenderness as the infection matures will soon set in. It is also likely that the affected toe will feel tight and hardened. If no treatment is available, red streaks may form, accompanied by darkening of some of the affected area. Small red spots or nodules may be felt or seen on the swollen areas. They are result of pockets of pus that form below the skin, known as abscesses. Patients may later develop fever, chills, headaches, nausea and swelling of lymph nodes in groin area. Diagnosis is done by checking the symptoms and analyzing the patient’s medical history. For example, cellulitis in the lower legs is known to recur. Diagnosis may however need be confirmed with tests such as fluid cultures and blood tests. Imaging tests will be considered if there are signs of internal injury, blood clots, foreign objects or abscesses. Treatment is primarily done with antibiotics. If there is a wound thought to be causing infection, it will require cleaning and proper dressing. This can be done at home or in the hospital. Potential sources of injuries on the big toe are many. For example, an ill-fitting shoe can leave you with a blood blister after just a day of wearing it. Children also often knock their toes on hard surfaces when playing. 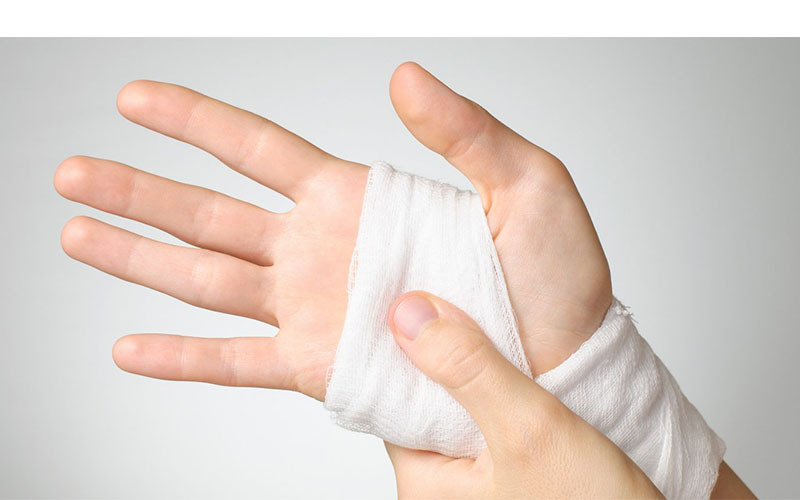 Such injuries can be treated at home to prevent infection from occurring. First, any broken part of the skin should be washed clean and be kept as dry as possible. It also should be dressed with a clean bandage. If infection occurs, try treating it with medicated soap and topical antibiotics. 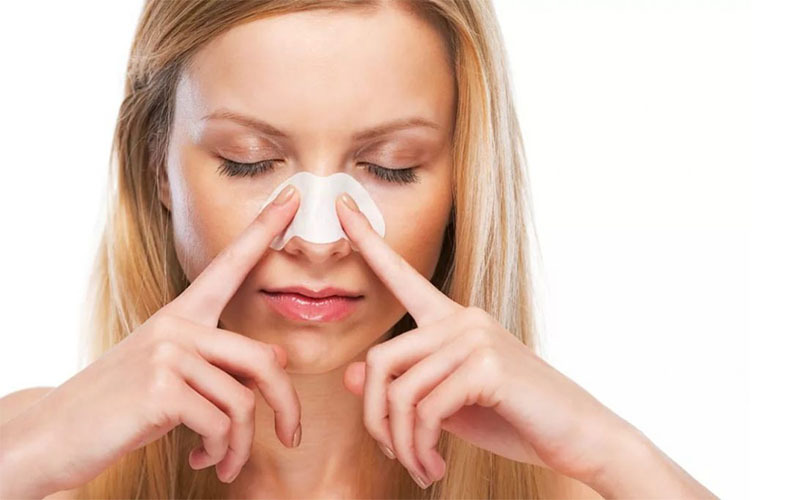 Home remedies such as warm compress, tea tree oil and essential oils may also help. These remedies can as well be used for removing cellulitis on finger. Patients should get a lot of rest during the recovery process. For people with circulatory disorders, they can try taking short walks and wearing tight clothing such as compression stockings. You can ask your doctor about this. Elevating your feet above the heart may help reduce swelling in lower legs.